This is the last episode of the serials that was taped in black and white. The tapes are now going through a thorough restoration. While you are waiting for this to be finished, be sure to, if you have not already done so, take a look at the previously released restored episodes. Moving this to GIP. Please update the post to conform to the board rules. 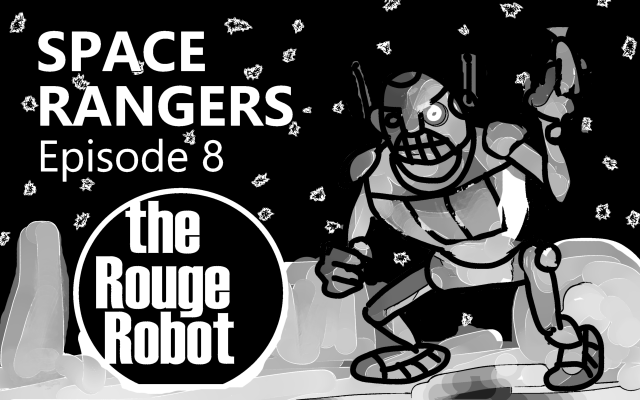 Also, that robot does not appear to be wearing rouge. I certainly will not. I have no wish, what so ever, to post anything on the AGS games in production board. Which is why I did not. You are not funny. You are just being rude and I feel very unwelcome. Well we find ourselves in a bit of a pickle here. Is there a particular reason you didn't want to post in the GiP? I can move this back to wherever it was moved from (assuming it didn't break the rules of that board) if you wish to keep it out of here? If it's going to stay in here it must adhere to the rules of course. Thank you for asking before acting. I do appreciate that. I do, however, not like this board and the rules of it. I recognize your right to set what ever rules you want and police them. I on the other hand have the option to not use the board if I don't like it and seek other ways to promote my game-making. Which is what I was trying to do. So I don't like it when someone is trying to put me to a place where I do not want to be. Apparently I am not welcome to promote my game-making the way I want to do it, in General Discussion either, and I don't go where I am not welcome. So just lock the thread and I'll go away and will bother you anymore. The AGS forums might not be the place for me. It concerns me that you do not like the forum rules (or how I enforce them). Would you be willing to discuss this issue further in PMs? I'm always willing to listen to people's concerns/complaints and work to make the GiP a more comfortable place for all! I have enjoyed seeing your games in the GiP (in the past) and would like you to continue posting them in the future! I will discuss moving this to the Adventure Related board w/ cat and see if she's okay with it being in there and we can move it over there. If you are willing to discuss your concerns/complaints about the GiP with me feel free to drop me a PM.